Tonight we got close and personal with Comfrey, one of my favorite herbs for healing cuts, dissolving scars and healing the body after surgery. 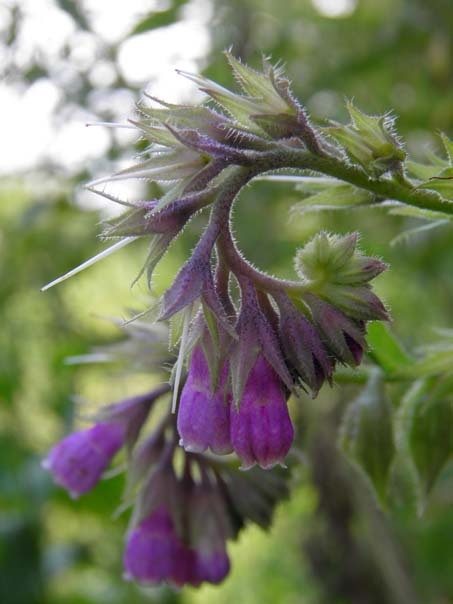 We talked about the medicinal uses of both Comfrey root and leaf, the proper times to harvest and how to make healing remedies from this amazing plant. Everyone who attended was able to make their own tincture to take home with them and got to try infusions and teas made with both fresh and dried Comfrey leaf. Tonight we headed back to the Prunella patch which grows behind the orchard in the low area that is usually damp and sometimes filled with standing water. Though mosquitos are often abundant, so is the Prunella as that is where she likes to grow! 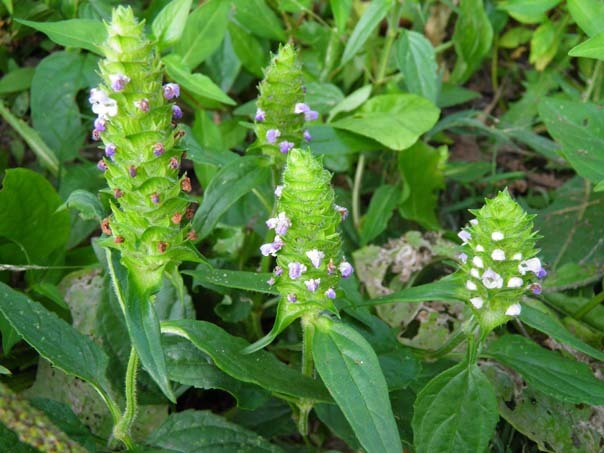 Prunella is often referred to as Carpenter’s Weed, Heal All, Self Heal or All Heal which gives a great indication of what she is used for. This entry was posted on Saturday, July 5th, 2014 at 6:17 pm	and is filed under . You can follow any responses to this entry through the RSS 2.0 feed. You can leave a response, or trackback from your own site.